Becker Carpet and Flooring is a full service provider for all your flooring needs. We provide sales and installation for carpet, luxury vinyl, hardwood, laminate, and tile floors. 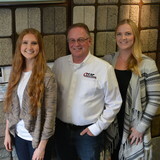 Established in 1993, Becker Carpet and Flooring is family owned and operated providing quality brand flooring for home owners for over 25 years. Headquartered in the West Metro we have become a trusted partner helping hundreds of customers turn their dreams into reality! At Becker Carpet and Flooring we work with you directly in the convenience of your own home. Our flooring professionals will bring samples to your home and provide consultation on the best style, color, and products to transform your home. We will inform you on each step of the installation process and make sure that the project is completed on time and on budget! Utilizing products from great brands like Mohawk, Milliken, Shaw, CoreTec, Dixie Home, Masland, Dream Weaver, and Lon Muslof you can expect unparalleled quality when you choose Becker Carpet and Flooring. 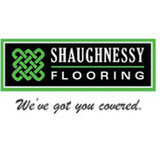 Shaughnessy Flooring provides full service flooring and installation to builders, remodelers, commercial, and multi housing properties. New floors can completely transform a room and we have many of the best products available! Whether for your home or business, we have a professional staff dedicated to helping you find the flooring solutions that will work for you. We are a locally owned store that has been in business since 1989, and we have performed over 95,000 installations. For your convenience, we offer free measures, estimates, and full service interior design consultations. We utilize a system call the "Healthier Living Installation". It is the only system like it in the flooring industry, and will ensure that you receive the highest quality installation possible. We also offer the Beautiful Guarantee - if you don't love your new floors for any reason, we will replace them AND pay for the installation! We offer the best products, at the best prices, with the best warranties! No one can beat the level of service you will receive from us - guaranteed! At Greatmats, our purpose is to provide our customers with the best service in the industry. We offer quality rubber flooring and foam mats at the most competitive prices. Try our easy-to-navigate web site and online interactive tools including quote and sample requests, real time shipping costs, and our web-based floor plan designer. Our specialty flooring and rubber flooring is the most extensive and the highest quality available online for home exercise rooms and commercial gyms as well as large weight rooms. At Greatmats, our products are backed by our price match guarantee that allows our customers to shop with confidence. Many of our rubber flooring and foam mat products are in stock and ready to ship within a few working days from the time of order. In addition, many of our 2x2 foot foam mats and home exercise mats include free shipping. By offering our customers fast lead times and competitive pricing we have built a generation of loyal customers that give Greatmats the highest reviews in the industry. We are proud of our A+ BBB rating that demonstrates our commitment to customer satisfaction. By choosing Greatmats you can be sure you will receive quality and value in every transaction. Floor Coverings International is a leader in the mobile flooring business, we lay inspiration and beauty at the feet of our customers. Homeowners are increasingly busy and want to be able to make their home improvement decisions in the comfort of their own home. Floor Coverings International delivers: 1. A customized and personalized flooring solution truly unique to each customer, without them ever having to leave home 2. A turn-key process from product selection, install, and follow-up We provide high quality design and installation services and carry the latest flooring products including hardwood, carpet, stone, and tile flooring! Take the guesswork out of getting new floors and schedule your free in-home consultation today! Cyrus Rugs is the largest online retailer of the finest handcrafted designer rugs and oriental carpets in Minneapolis, Minnesota. Founded in 1885, the premier company started out as a family business in Iran before breaking into the international market and exhibiting artisan pieces in major cities like London and New York. The company eventually put down roots in Minneapolis in 1988, when brothers Arya and Alex Farahan established the Minnesota Cyrus Rugs showroom and began showcasing an extensive selection of traditional, transitional, contemporary, and tribal rugs from international designers. More than a century later, Cyrus Rugs continues to deliver exquisite, hand-selected artisan masterpieces that perfectly suit every customer’s personal design aesthetic, lifestyle, and home furnishing needs. With a lifelong dedication to quality, originality, and customer satisfaction, Cyrus Rugs remains one of the most trusted providers of top-quality luxury rugs and carpets. *Authorized Dealer of Shaw Floors* CAP Carpet & Flooring is the leading provider of flooring & area rugs in the Twin Cities. CAP Carpet & Flooring is a locally owned and operated company, and we pride ourselves on helping our customers feel welcome from the moment they walk in the door. We are your neighbors. We work and live in your community and understand your needs. You can expect the very best personal service on every visit to CAP Carpet & Flooring and value and warranties on every flooring purchase. Our design team has worked with homeowners, contractors and builders who expect the best. With over 30 years combined experience in the design industry, Angela, Sandy, Sunnie,Maria, Caryn and Megan will be able to help whether you are in the process of building, remodeling, or re-doing. Our design team prides itself on being well versed and knowledgeable on all the up to date products and trends in the floor covering industry as well as countertops, paint and window treatments. Their passion and knowledge is abundant, and we're confident you'll be nothing short of impressed with their expertise and professionalism. When you love your job, it shows: the enthusiasm and energy our design team has harnessed will bring out the best in your project. Make CAP Carpet & Flooring your first stop when considering any type of home improvement project- we are happy to help you every single step of the way. Holmquist Hardwood Floors is focused on providing high-quality services with unbeatable customer satisfaction - we will do everything we can to meet your expectations. For over 21 years we have been providing quality craftsmanship to the Minnesota and Wisconsin areas.. No job is to big or to small. Contact us for all your wood flooring needs. We provide dustless sanding, custom staining, new installation, refinishing, and flooring repairs. Let us help you find your perfect floor! We have a large variety of flooring to meet every budget. Make sure to look around our site. If you have any questions, please feel free to contact us. Our Hopkins MN showroom has been a part of the community for more than 30 years. We’ve seen customers come from a wide area, from the southwest Minneapolis metro and beyond. They’ve become family, and we know what types of homes they live in, whether it be a ’30s-style bungalow, a ’60s rambler or a modern day, contemporary townhome. The Hopkins Carpet One staff appreciates each architectural style, and this makes selecting new carpets or hardwood flooring fun and inspiring. Since 1980, our team has provided each customer the individual attention they deserve, as we know they’re a homeowner who wants to improve their homes quality. We stay involved in each step of the process, from selecting, measuring, ordering and arranging the installation. Whenever it warrants change, or the homeowner just wants a new look, our customers return to us, and their satisfaction and trust in us is extremely important. 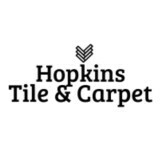 The Hopkins Carpet One sales and installation crews have worked together for 20-plus years. You will not find in larger flooring stores the trust and communication provided by our staff, as the owner, sales team and installers are here to answer your questions and help you add value to your home. Professionally certified staff with a commitment to service With a straight-A rating from Angie’s list and hundreds of satisfied customers, we’ve got a reputation you can trust for flooring and carpeting installation quality you won’t find anywhere else in the Twin Cities. We only use the industry’s latest certified techniques and deliver continuous training to our employees to ensure you receive best-in-class service. You’ll be delighted and visitors will be impressed by your transformed living space! We offer free estimates on any job and competitive pricing. Whether you’re ready for new floors tomorrow or just planning a dream home, our free estimates on any job will help you financially plan for installations that can transform any space into exactly what you’re looking for. Our experts make dreams happen while helping you minimize project costs with essential tips & tricks. We’re committed to sustainability Almost 4 billion pounds of carpeting are discarded each year as municipal solid waste. We’re constantly doing our part to reduce that number by recycling all old flooring at no extra charge. 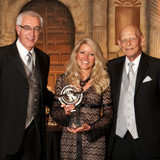 Trend of the Northeast is committed to creating and sustaining both beautiful homes and a beautiful planet. Navab Brothers Oriental Rug Co.
Collectible Art For Your Floors Whether you need a rug for your home or office, or you are a collector of tribal rugs, Navab Brothers can provide a selection of choice. Our rugs, antique or modern, are hand-picked for their quality and aesthetic value. To us an oriental rug should reflect the individuality of its maker, as well as of it's user. Our mission has been to find rugs that above all, show integrity through he use of authentic raw materials, uniqueness of design and quality of craftsmanship. Woven Arts has been the premier showroom for designer and custom handmade area rugs and oriental carpets in Minneapolis for over 15 years. Featuring exquisite, handmade carpets and designer rugs from around the world. Our experienced consultants specialize in working with clients to create original works of art through customized designs, colors and dimensions. Our exceptional selection ensures clients a distinguished view of modern, traditional, tribal and one of a kind pieces from all over the world. Woven Arts is a "to the trade only" Showroom. Carpet dealers in Plymouth, MN help homeowners choose the correct carpet covering for their floors, and also assist with carpet maintenance. This includes determining factors like material, carpet pile, durability, color and size, as well as helping with any custom carpet design. After completing the initial installation (which includes removal of the old flooring, if applicable, and surface prep), they may also handle follow-up maintenance requests such as carpet cleaning, carpet repair and carpet stretching. Find a carpet dealer on Houzz. Narrow your search in the Professionals section of the website to carpet dealers in Plymouth, MN, and read reviews and ratings for pros in your area.